Over the last few months, I’ve talked about different types of trademarks; there’s the brand name (also known as the wordmark), logos, and combinations of brand names and logos. There are also other types of trademarks that we don’t think about too often but are pretty ubiquitous. These include sound marks like the MGM® lion’s roar at the beginning of a film, the three notes that NBC® plays at the top of the hour, or even just different jingles. There are also scent marks, such as the scent of Play-Doh®, which Hasbro® just registered last year. How Do These Marks Get Registered? The first requirement is what’s called secondary meaning. In other words, the sound, the smell, or even the color (as in the case of UPS® and the color brown or Dow Corning’s® pink insulation) has acquired a meaning so great that the consumer immediately recognizes what the product is and the source of the goods. There’s no question that Play-Doh® has a very distinctive smell, as anybody who has had kids or grandkids that have had Play-Doh® can attest. You don’t even need to see it to know that Play-Doh® is in the house, once the seal on those little yellow canisters are broken. The same is true with buying insulation; when you see it’s pink, you know the brand is Dow Corning®. Both products’ attributes have had a long period of time being associated with the brand, and that creates secondary meaning. The trademark office generally requires that these unusual trademarks be in use for at least five years. Design marks and logos, known as combination marks can develop secondary meaning. Many brands no longer use a word to identify them. Think about Apple®. All you have to do is see that apple with a bite out of it, and you know what company made that piece of electronics. Or, if you see the swoosh on any athletic wear, you know it’s Nike®. These logos have acquired secondary meaning to the extent that they no longer need the brand names associated with it to represent the brand. There are logos and combinations of logos and words that can acquire secondary meaning as well. Case in point: Mastercard® is famously simplifying its logo. Currently, it has distinctive, intertwined red and yellow circles with the word “Mastercard” typed over it. They’ve decided to drop “Mastercard” and just go with the design. Why? Because it has acquired secondary meaning. It no longer needs the word “Mastercard” for people to identify that a credit card is indeed a Mastercard®. 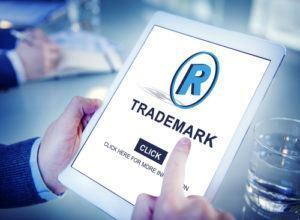 While you can apply ahead of time for an intent-to-use for a trademark name or a trademark logo or combination, the other types of non-traditional marks require you to wait until you’ve been using them quite a while in the marketplace before you can apply to register. While I always advise consulting an attorney, these types of trademarks absolutely require a trademark attorney to achieve registration.